A white fish, such as Sole of Cod, is rarely the flavor bomb that is going to blow your socks off. There is something to be said though about a light, perfectly cooked meal that packs a nice buttery citrus flavor. 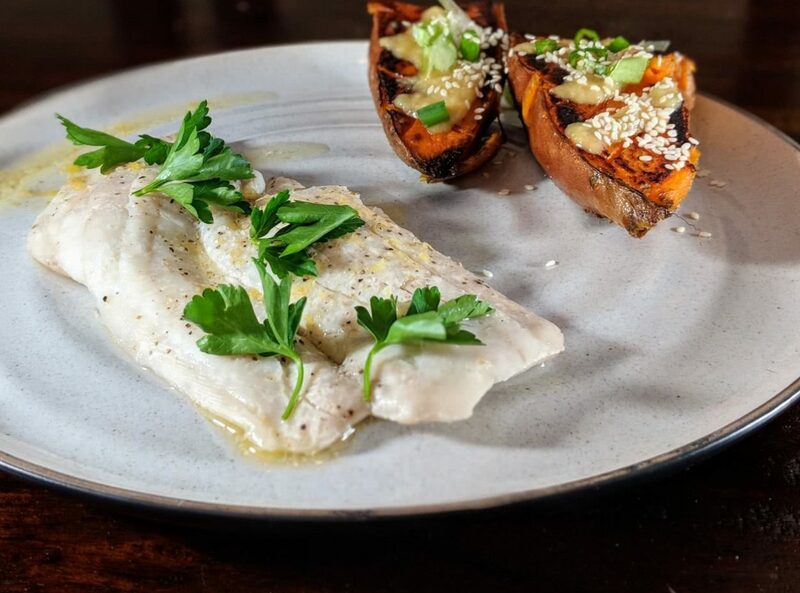 With the help of a sous-vide machine the sole will always be a perfectly cooked and flaky fish while the brown butter and lemon provide a nice pop of flavor. This recipe is a great, healthy, low-effort meal for the heat of summer. Using a sous-vide machine pre-heat a water bath to 133 degrees Fahrenheit. Dry the Sole filets and generously salt and lemon pepper. Place the filets flat in a single layer of a vacuum seal-able bag, use multiple bags in order to keep the filets from overlapping. Vacuum seal the bag and place into the water bath for 30 minutes. While the fish is cooking create the brown butter. In a small pot over medium-low heat add the two tablespoons of butter. Continuously swirl the butter. The butter will being to rapidly bubble and once it settles down look for the particulates to drop to the bottom of the pot and the butter begins to smell nutty. The whole process should take roughly three minutes. When the butter has been browned, remove it from the heat and add the lemon juice and lemon zest. When the fish has finished remove the bag from the water bath and drain juices from the bag. Carefully cutting open the bag on all sides remove the filets from the bag and plate onto a warm dish. Serve and enjoy with your favorite side such as asparagus or sweet potatoes with miso ginger glaze.